Lately I've been in a situation where I had an image embedded into a .docx Word document, and I absolutely needed to get the original image file in order to be able to retrieve the original best-quality picture. See the screenshot below? My document contains a picture, it shows up as a small thumbnail, but I need the original high-resolution picture. This tutorial shows the way, it works with Microsoft Word 2007 and above. Alternatively you could just use the Snipping Tool from Windows Vista/7, which allows you to save a portion of the screen into an image. Try it, it's pretty much self explanatory, but the final quality of the picture depends on how much you can fit on your screen. Note: if you do not see the .docx at the end of the file name, you *MUST* follow this tutorial for this to work (this will help you show file extensions in Windows Explorer). Now, double click your .zip file to open it with whatever program is associated with Zip files on your computer. In my case, Winrar does the job. If the document still opened with Word, you probably did not read carefully enough -- go back to the part where I say to follow this tutorial. Open it, and you'll now see all the images that appear in your document. These are the original images that were inserted in the documents, regardless of the size in which they appear when viewing your document. You can extract them to your storage disk by selecting them and dragging&dropping them to the folder of your choice. Press Ctrl+V to paste the image into the current canvas in Paint. Unfortunately, the picture is copied in the same size as it appears in Word. 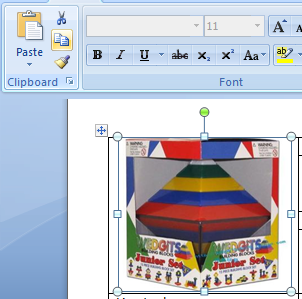 If you want a bigger version, you'll have to resize the image in Word first, copy it again, and paste it again in Paint! This is obviously not the best way to go, but it can be easier and faster than the first option I described earlier. When offered to select the format, make sure to choose the "Web page" format... do NOT select "Web page (filtered)", this option will export low-resolution images. The "Web page" option on the other hand exports the original images as well as thumbnails. You can now copy or save those files to other folders of your computer. That's it! That wasn't so hard, was it? I still wonder why Microsoft didn't originally include this feature in the Word application itself. In my opinion, we should be able to just right-click an image and see a "Save image as..." option in the menu. Now, why did I bother writing about this on what is seemingly a sysadmin's/developer's blog, you ask? Because I've been looking this up on the web and most of the answers I found were unsatisfying. It took me ages before I finally stumbled upon a blog article that revealed the docx/zip trick. When I don't (or hardly) find the answer to my questions, I usually whip up a quick article about what I was looking for, and hopefully it ends up helping people. - I found that not all images are correctly put in html files by Word; in some cases only thumbnails are created (with horrible resolution, even not suited for the web)! - Although the archive method seems to retrieve the original pictures, the silly copy-paste method can give nicer (smoother) results! Maybe Word's docx file reader contains a smart image improvement subroutine as part of the de-compressor? Zip solution is a great find. Would never have stumbled across that! 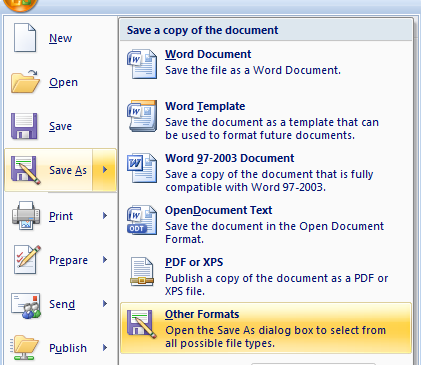 Just to note that Word 2010 has the right-click > Save as Picture option. Comparing the file from the Zip technique (Thanks!!) to Save as Picture, it gives you the same file - if the original was JPG, it defaults to save as JPG, PNG as PNG, etc. Wow! such simple and elegant way to solve a problem... docx to zip... hats off! I tried the zip method and it worked! The zip solution works perfectly. Thank you so much for sharing. thanks...i just forgot about the save as web page. Thank you! You just made my life infinitely easier today. Karma points to you. Thanks so much for your efforts and tie in putting the instructions together. You have made my day!! Kudos to you my friend! Superb! Thanks so much. Learned so many things from this post! The zip method saved me DAYS of work! THANK YOU for this fantastic tip. However, in Word for Mac 2011, the zip method did not work for an image that I drew using Word's shape tool (only captured images I had imported). Someone mentioned the "Save as Picture…" option. Good stuff, just be sure to group the image elements, first! Thanks. The 'save as web page filtered' option was the only one i knew, and its nice to have better quality images to work with. Appreciate the listing of all the various options - including the tips from anyone who chose to comment. Thanks a million! I’ve only glanced at what you’ve presented and already I can see I’m going to be able to make great use of this tutorial. Thanks so much!! I had several docx. document embedded in a document that I was trying to open with no success. I was able to use your tutorial and change the process selecting the 'media' folder from 'Word' to selecting the 'embeddings' folder. Worked perfect!!! I was able to open the docx. document and save them individually on my computer. Best solution ever for this problem. Never would have figured this out as the cut and paste solution gave terrible results. Online Data Entry Services Data feeding work into online portal. Center will be provided with user ids along with portal, where they need to enter the data by simple typing work. Online Transfer every Monday weekly payment. Data Entry Work into given software. This is simple offline data entry typing work, Company will be provided with data according to PC, where they need to enter the data by simple typing work. Contract Document Validation 11 month before start main work we will provide you demo work. I appreciate the assistance! You are right, it was hard to find a clear concise explanation on the web. The zip option was exactly what I needed. Thanks! We believe all business irrespective of its size will ultimately deploy E-COMMERCE platforms in the coming years to increase sales by cutting across borders through the world wide web. Thanks a lot, you saved my day ! Thank you, you saved my day. I was desperate to get those images out of the document, and couldn't make the copy-paste work. The "zip file" method worked like a charm ! It’s really great to post my comments on such a blog. I would like to appreciate the great work done by the web master and would like to tell everyone that they should post their interesting comments and should make this blog interesting. Once again I would like to say keep it up to blog owner!!!! Nice share. Bookmarked and thank you! Hello your blog is sharing great information. isolang providing best Professional translation services in United kingdom.Thanks for share this blog. If there are a lot of images in the word document, the process can be tedious. If you wanted automatic extraction, I have a web application that can extract all images, zip them and give you a single link to download all images from word. Thanks.The convert to zip works. Your blog is distinctive. I have found your blog innovative. You have chosen very incredible theme for your sketch. YAY! .docx to .zip GENIUS! Thanks so much! Zip solution is genius man!!!! I dunno if i could have thought of that in a million years. 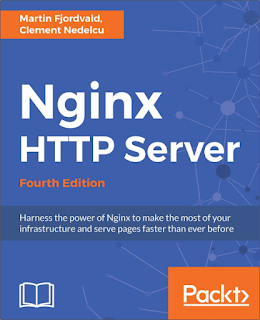 Very useful blog. Thanks for posting such excellent information. Thank you for the zip method. I love you. Paint.Net Mac : Paint.Net for Mac like MyBrushes, Pinta, and GIMP are some equivalents digital artists can choose to use Paint.Net Mac. This was brilliant- your tip of renaming to a zip file and extracting just changed my life. So simple! Renaming the .DOCX file to a .ZIP and extracting the image was a great solution. Thanks for much for the tip! ICore Software Technologies In this modern era of Internet and technology, provides people with the advantage of ecommerce website development sitting at home while checking reviews for the products available in the market. Thanks a lot for the zip-trick ! 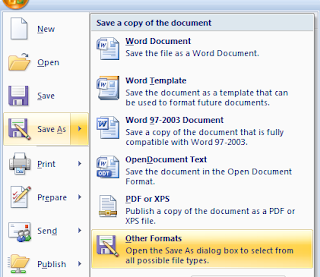 In Word 2010 you can also mark & right-click the picture you want to extract and then choose "Save as Picture" to png, jpg, gif, tif or bmp format. paint for mac-MyBrushes Paint for Mac app is the best Mac paint software to paint on Mac infinite canvas and PLAYBACK drawing Paintbrush for Mac.It's good as ms Paint for Mac. drawing app-MyBrushes Paint for Mac app is the best Mac paint software to paint on Mac infinite canvas and PLAYBACK drawing Paintbrush for Mac.It's good as ms Paint for Mac. avi to mp4 converter-Total Video Converter, a very powerful Avi to Mp4 Video Converter, convert any video files to avi, 3gp, mp4, psp, iPod, iPhone, flv, DVD, VCD. Awesome advice - was going to do my head in as got pics in a word doc & couldn't put them on a website as needed to be in a picture format!! You showed me the way so quickly thank you so much!! The procedure described here actually works well only for images directly inserted/placed into the doc. Linked/embedded files are converted to EMF or WMF files, but image quality is not good, especially for type. If your doc has linked/emedded images, look for them in the Emeddings folder instead of the Media folder. Great article! You just saved me hours of work! May the Gods favor you in all that you do! Great it's a easiest way to get a images.. Thank you for adding it..
Oh my GAHHHHD that .zip process worked like FREAKIN MAGIC!